Anaemia among women in India is a problem of major public health significance. Seventy per cent of women are anaemic in Jharkhand to 22.5 per cent in Mizoram. India is fighting a huge battle of malnutrition, obesity and micronutrient deficiencies such as Vitamin A and zinc. Against this backdrop, few states in the Northeast have overcome the battle against malnutrition among women to a large extent. Reports stated that less than 10 per cent of women in Mizoram, Arunachal Pradesh and Manipur have low Body Mass Index (BMI). 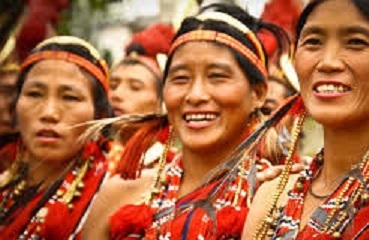 Nagaland and Meghalaya boasts of a lower malnutrition rate among women when compared to the other states of India – only 12 per cent of its women are malnourished. In Sikkim, only 6.4 per cent of its women have low BMI. The pertinent point is that while northeastern states where malnutrition rates are low – Mizoram, Arunachal Pradesh, Nagaland and Meghalaya – are tribal-dominated. However, states such as Chhattisgarh, Jharkhand and Odisha – which are also tribal belts – the levels of nourishment among women are very less. Access to facilities and greater gender equality are the two reasons why these northeastern states are way ahead than rest of India when it comes to women’s malnutrition. In these Northeastern states, women have more access to improved sanitation facilities at the household level, are better educated and are either self-employed or working (NFHS, 2015-16). Sikkim and Mizoram is at the top of the heap when it comes to households using improved sanitation facilities – 88 and 84 per cent, respectively. per cent and in Manipur, 85 per cent. Women form a larger part of the labour force in the northeastern states when compared to other states of India – one of the reasons why women in these states have lower rates of malnutrition. The northeastern states are also doing a “good work” vis-à-vis increasing access to maternal health services. The coverage of iron and folic acid consumption increased massively from 18 to 54 per cent and the proportion of women receiving at least four antenatal care visits increased from 46 to 62 per cent in Mizoram from 2005 to 2015. Meghalaya has also seen a huge increase -iron and folic acid consumption among pregnant women increased from 6 to 36 per cent, and in Manipur from 7 to 39 per cent. In Meghalaya, ante-natal care coverage (at least four antenatal visits) increased from 42.8 to 50, while in Manipur, antenatal care coverage increased from 54 to 69 per cent. Health experts say that since the people of northeastern states eat pork, it is one of the reasons why there is less malnutrition in the region. However, this conclusion seems slightly weak given that in Assam, the malnutrition rate among women is one of the highest in the country, at 25.7 per cent women with low BMI, while 80 per cent of its women report consuming fish, chicken or meat (NFHS-4). More likely, the afford ability of nutritious fruits, vegetables, pulses, dairy and meat results in improved dietary diversity and therefore improved nutrition. Rises in prices of these goods lead to a decline in dietary diversity. Women are the backbone of the health of society. Political parties must focus on women’s health and empowerment, so that they can achieve better health for the entire population and subsequently an improved economy.